Ohh la la. Moschino Cheap and Chic does a retro 60's pin up girl look with this gingham high-waisted brief bottom ($495.) 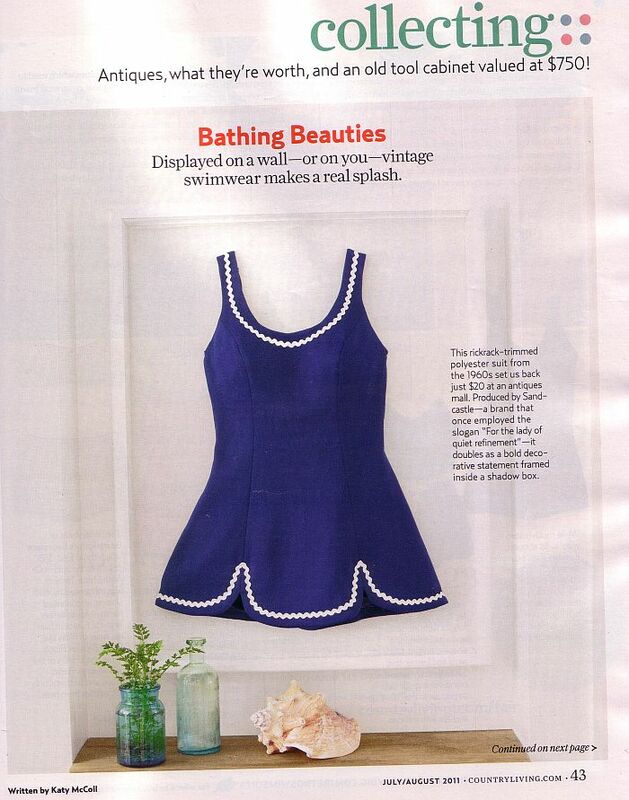 and bikini top ($395.) from 2010. Kind of reminds me of the young Brigitte Bardot in Cannes, uncanny no? 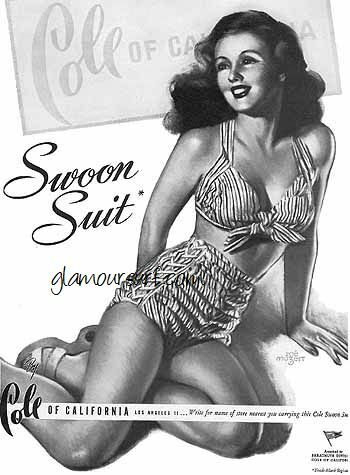 Brigitte's bottoms are not as high cut, and the photo is from the mid 1950's, but I could sure see her in this cute suit. Gingham, ruffles, shirring, retro styling. 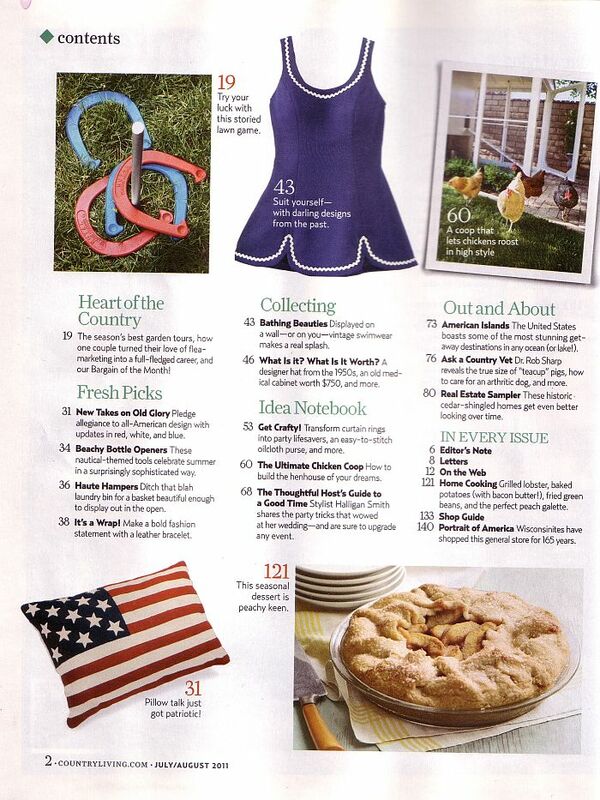 50's flavored candy striped midriff top and high-waisted shorts from Marc Jacobs. I adore this look, the little long sleeve midriff cropped v-neck sweater and the high-waisted shorts. 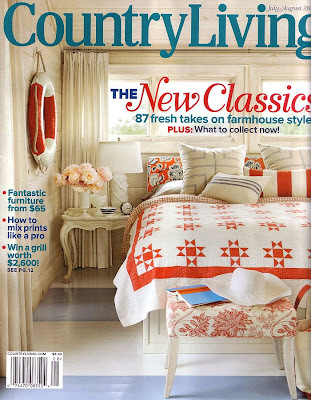 The sweater is wool, cashmere and silk and priced at $625. while the shorts run $350. Problem is, I don't have an extra grand laying around to splurge right now. Cute though, right? Just a bit of contemporary fun, from the Jazz Age Lawn Party Governors Island New York. 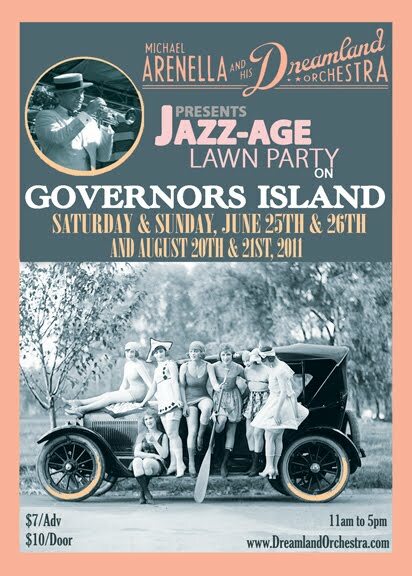 The party is held this weekend, and again in late August. Do you have your swimsuit? Are you going? What a wonderful find, this 1940s swimsuit has it's original hangtag from Jantzen and we just listed it over at Glamoursurf today. 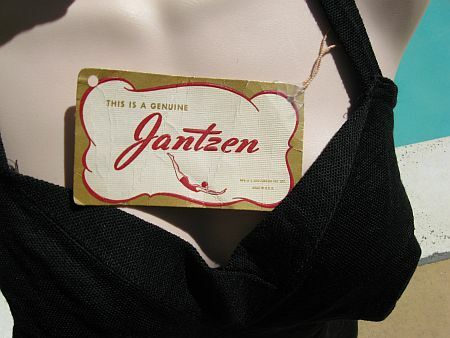 The hang tag from this 1940s Jantzen swimsuit gives us lots of info about this suit and sizing. First, it gives the name of the suit - the "Turnabout". 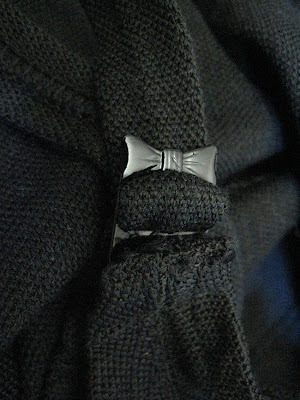 Fashioned "Lastex" knit Sharkskin, a beautiful fabric - conforms to body, gives with every movement. 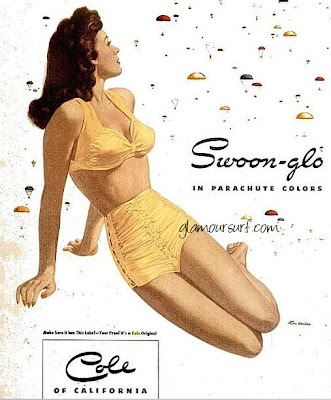 Excellent uplift achieved by special bra construction. 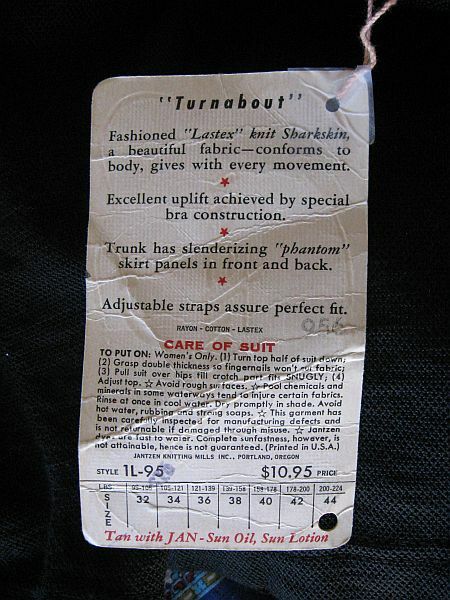 Trunk has slenderizing 'phantom' skirt panels in front and back. Adjustable straps assure perfect fit. Made of Rayon - Cotton - Lastex, style 1L-95, $10.95. This one is a size 44, which should fit a woman between 200-224 lbs. 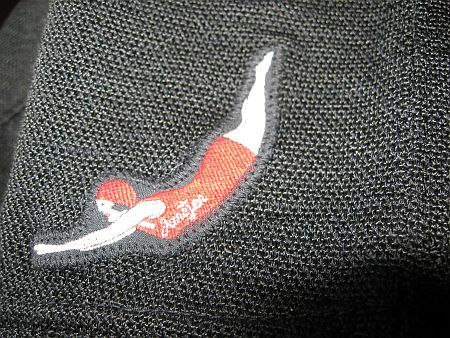 This is the appliqued logo patch from the suit. She has no pom pom on her hat and her stockings are gone. And below is the label. 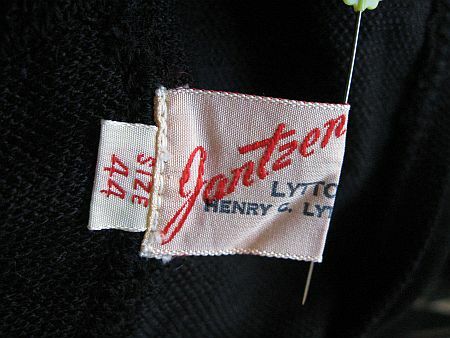 Some early Jantzen suit labels also have company store names on them, this one has Henry C. Lytton & Co. stamped on it. And finally, Care of Suit - To put on: Woman's only. Avoid rough surfaces. Pool chemicals and minerals in some waterways tend to injure certain fabrics. Rinse at once in cool water. Dry promptly in shade. Avoid hot water, rubbing and strong soaps. 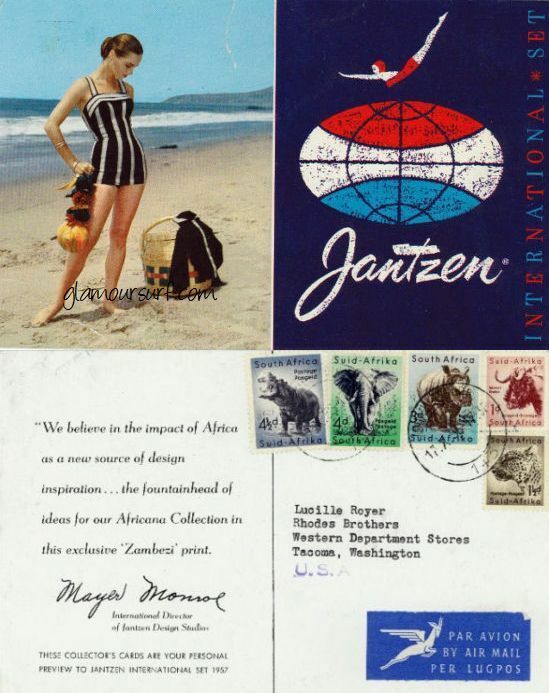 During the mid 1950s Jantzen produced a line of swimsuits which they labeled and branded their 'International Set'. Today we share some advertisements, postcards and a label. 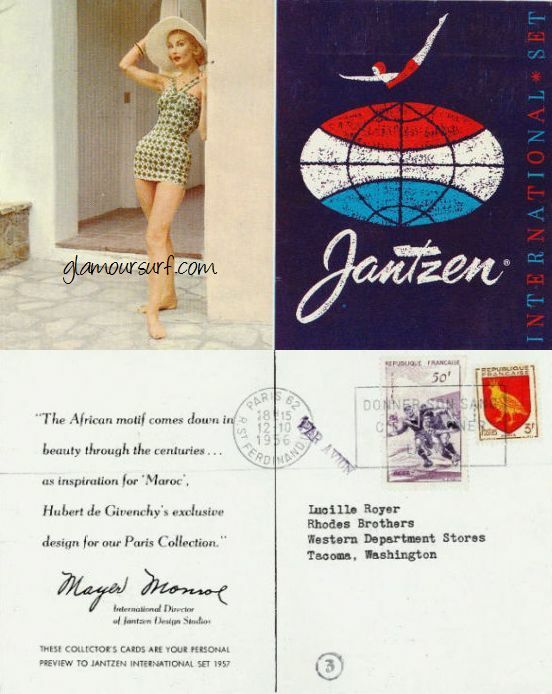 Jantzen was an innovator in branding and labeling of the different influences on swimwear, including travel and designers. It's interesting to note that Givenchy designed for Jantzen during 1957-58 in his Paris salon and is included in this set. Jantzen’s International Set, a stunning collection inspired by the favorite resort destinations of the Jet Set of yesteryear, was produced between 1956-1959. 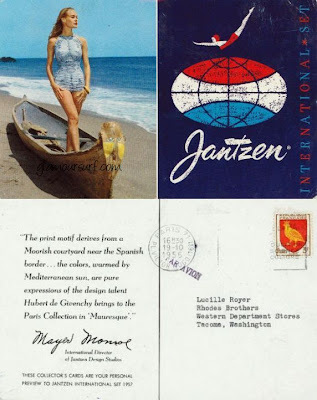 The Jantzen International Set was a collection of swimsuits from eighteen design studios around the world. 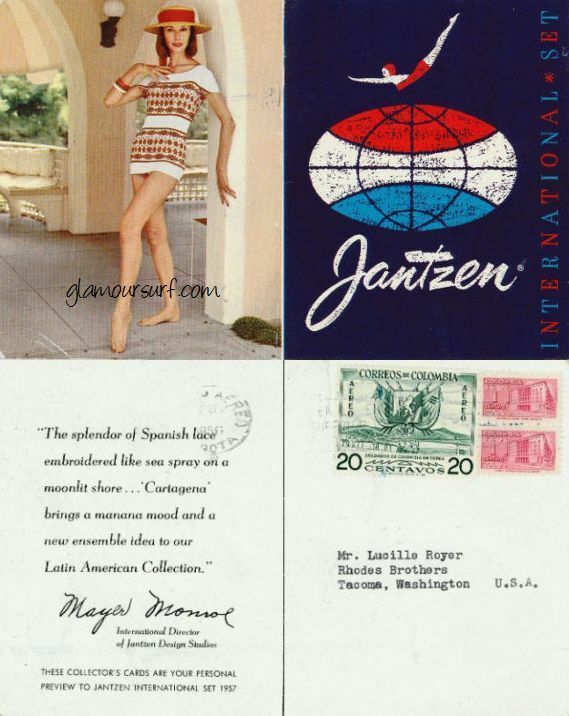 The development of the International Set corresponded to a new-found accessibility to exotic locations made possible through commercial jet travel. Jantzen’s International Set, a stunning collection inspired by the favorite resort destinations of the fabled Jet Set of yesteryear, was produced between 1956-1959. 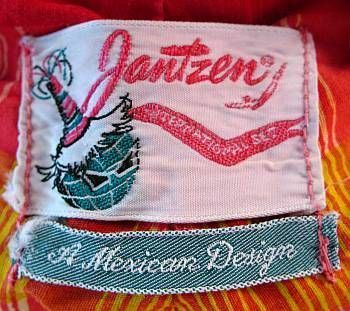 The Jantzen International Set was a collection of swimsuits from eighteen design studios around the world. The development of the International Set corresponded to a new-found accessibility to exotic locations made possible through commercial jet travel. Pretty ingenious branding I'd say! 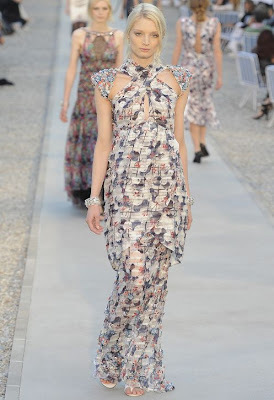 Vogue has the latest images from the Chanel 2012 Resort Collection up and I've selected a few of my favorites to share with you today. I think this is my favorite look. So chic. The gloves, the hat, the glasses! If nothing else the towel would be enough, thank you very much. 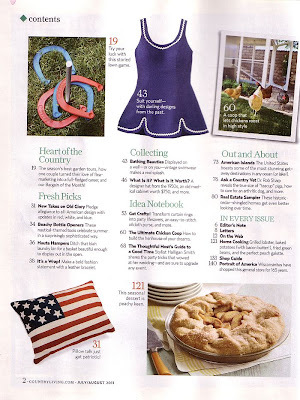 Influential blend of vented slacks, vest and bandeau. Pop on a vintage brooch or fur clips and voila. 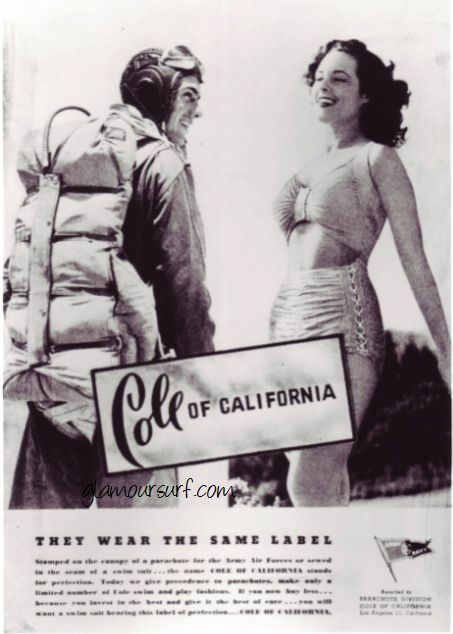 The classic jacket paired with swimsuit hat and glasses. Just add a glass of Dom and you're set. It just keeps getting better doesn't it? Timeless. I see influences of the different eras mixed amongst all of the pieces. 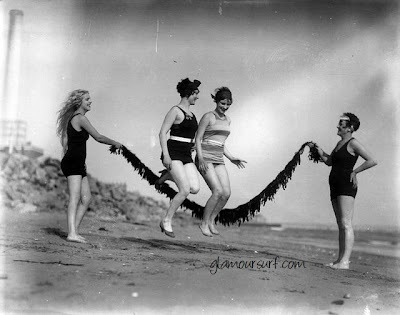 Yes, bring back the beach cape! And a bit of formality tuxedo style. Really brilliant. The print on this dress just about floored me. There's a slew of gorgeous pieces in the resort collection from Chanel. Do yourself a favor and go check out all of the images, then come back and tell me which is your favorite. These two images of Marilyn are publicity stills from 'Monkey Business" filmed at the start of 1952. 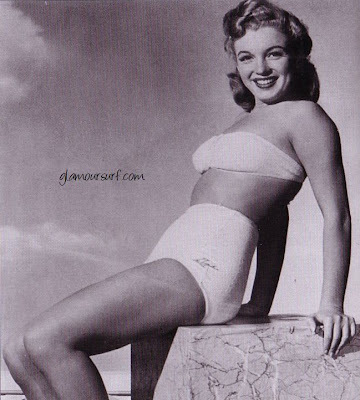 Marilyn took an endless series of cheesecake photos while working for Fox, she knew her career depended on being noticed by somebody in a position of power. She was successful at this, first becoming one of Joseph M Schenck's 'girls' and then catching the eye of influential agent Johnny Hyde. 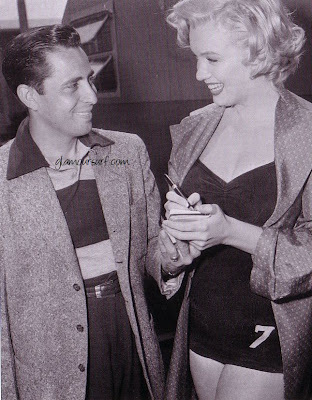 Marilyn instinctively knew how to pose for the camera. Here she is in a Catalina swimsuit while she was a teenager and known better then as Norma Jean Baker. "If I had observed all the rules, I'd never have gotten anywhere."